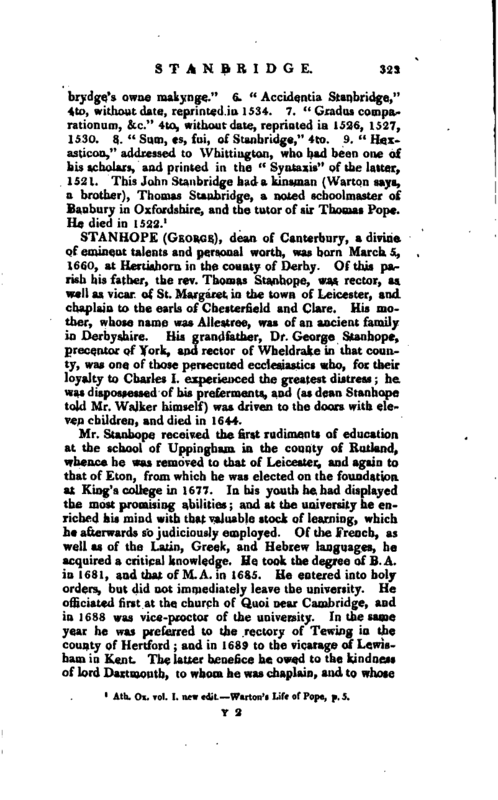 , an eminent schoolmaster, was born at Heyford in Northamptonshire, probably about the middle of the fifteenth century, and was educated at Winchester-school. From this he was sent to New college, Oxford, and in 1481 admitted perpetual fellow. About 1486, being then B. A. he was appointed first usher of the free-school adjoining Magdalen college, and succeeded John Anwykyll, as chief master. As a teacher he became very eminent, and produced some scholars afterwards much celebrated in the world. 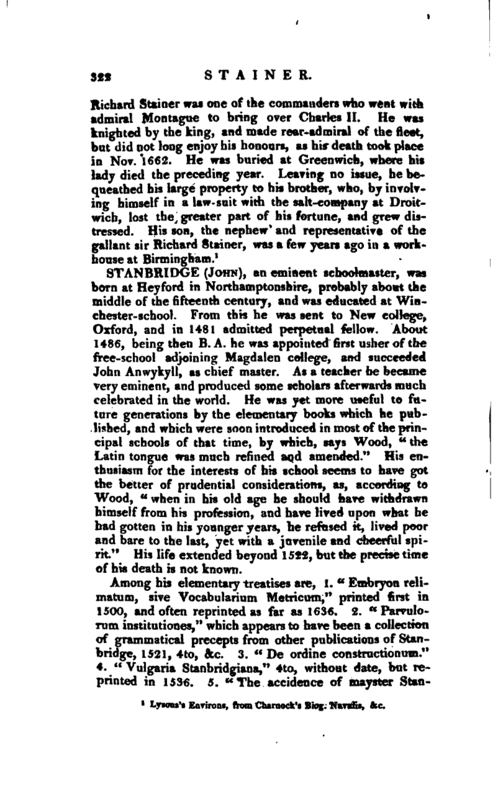 He was yet more useful to future generations by the elementary books which he published, and which were soon introduced in most of the principal schools of that time, by which, says Wood, “the Latin tongue was much refined and amended.” His enthusiasm for the interests of his school seems to have got the better of prudential considerations, as, according to Wood, “when in his old age he should have withdrawn himself from his profession, and have lived upon what he had gotten in his younger years, he refused it, lived poor and bare to the last, yet with a juvenile and cheerful spirit.” His life extended beyond 1522, but the precise time of his death is not known. 1 Ath. Ox. vol. I. new edit. Wartou’s Life of Pope, p. 5.